the new generation of lights 100% heat but 80% less light! 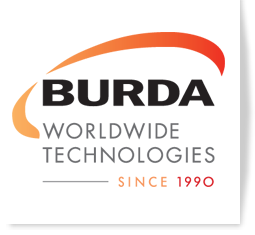 The new “Low Glare” heater series from Burda Worldwide Technologies GmbH offers instant heat and an extraordinary candle-light atmosphere at the same time. 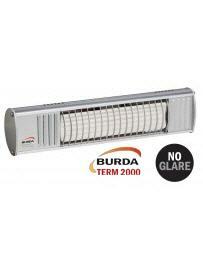 The special coating of the lamps inside and outside filters and reduces light by 80% without loss of heat. In that way it creates a very soften light source, which does not influence existing ambience illumination on terraces and on balconies. Low Glare products offer a convincing combination of very efficient infrared heat as well as perfect light reduction for a candle light atmosphere. In the gastronomy as well as at home, the new product series “Low Glare” is the new successful solution in the markets. As of now optional available in the high quality heater series TERM2000, IP24, IP65 and IP67 as well as for all PERFECTCLIME heaters.